Music Rising, a campaign launched to replace musical instruments lost or destroyed in the Gulf Region hurricanes, announced today that it has provided instruments and/or gear to over 2,000 professional musicians to date. Launched in November 2005 the campaign has provided aid to Gulf Coast musicians not only in the region but also in over 34 States from California to New York. 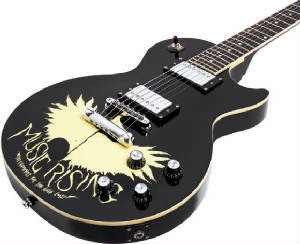 To mark the one year anniversary of the Katrina disasters, Music Rising has announced that it will launch the sale of the Music Rising Epiphone guitar with all proceeds going to the charity. Music Rising was formed in late 2005 by U2's The Edge, legendary producer Bob Ezrin, Gibson Guitar Chairman and CEO Henry Juszkiewicz, and facilitated by MusiCares. Since its inception Music Rising has been recognized throughout the world through media coverage and has received accolades from various other organizations. Former President Bill Clinton has even participated in press coverage for the campaign. It also became the recipient of the 2006 Gold Halo Award for Cause Marketing on June 13, 2006 and in November, 2006 the campaign will be the recipient of the prestigious Billboard Humanitarian Award at a special event held in New York. Many people from the ravaged region are still living in Federal Emergency Management Agency trailers or are without a permanent residence. Those musicians who have depended on the local music industry for their livelihood, have been supported by Music Rising through the replacement of lost instruments and equipment. The Gibson Foundation will continue to manage all phases of Music Rising. The limited edition Music Rising Epiphone guitar will be sold exclusively through Musician's Friend with all proceeds going directly to the Music Rising campaign. 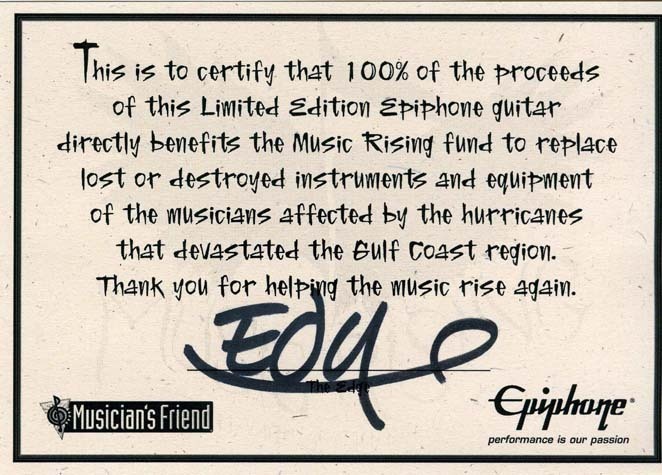 The Music Rising Epiphone Les Paul guitar features exclusive artwork and the campaign's slogan "Rebuilding the Gulf Region Note By Note." The artwork which was emblazoned on The Edge's t-shirt at the 2006 Grammy Awards broadcast has become a symbol of the campaign and is also available on limited edition t-shirts sold exclusively through U2.com. 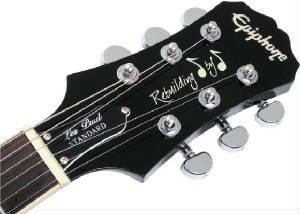 The Limited Edition Epiphone guitar specs include all the features that have made the legendary Les Paul guitar synonymous with great rock tone including a solid mahogany body with carved top, glued-in mahogany neck, rosewood fingerboard, Alnico Classic Humbucking pickups and stopbar/tunomatic bridge and tailpiece combination. Backed by a Limited lifetime warranty, the Music Rising Epiphone guitar will sell for $599 USD and be produced in limited quantity. It will also include a custom "Music Rising" gig bag as well as a signed certificate of authenticity. "Even though it has been a year since the hurricanes struck the Gulf Region we still see so much need and we want to continue to help. The limited edition Epiphone Music Rising guitar will put money straight into the fund so we can continue to assist the region," said Henry Juszkiewicz, Chairman and CEO of Gibson Guitar. For more information or to make a donation to Music Rising go to www.musicrising.org or www.gibson.com. Questions or inquiries can be emailed to info@musicrising.org. Checks may also be sent to the Gibson Foundation/Music Rising, 309 Plus Park Blvd, Nashville, Tennessee 37217. Following a recent visit to New Orleans, U2’s The Edge announced the unveiling of Music Rising (Nov. 21), a campaign to raise funds to replace the lost instruments and accessories of the musicians affected by the hurricanes that devastated the Gulf Coast region two months ago. Lead partners Gibson Guitar and Guitar Center Music Education Foundation have spearheaded the initial effort by collaborating on the design, manufacture and sale of an exclusive Gibson guitar with all proceeds going directly to the Music Rising program. The guitar, available through Guitar Center, captures the essence of the Gulf Coast’s musical tradition. A very limited quantity will be produced with all proceeds benefiting Music Rising and a pledge of $1 million in support. The Gibson Music Rising guitar features hand-painted designs using the colors of Mardi Gras. Each guitar will be individually painted and handmade so no two will be alike. All of the usual plastic parts (back plate, pick guard, toggle cover, truss rod cover) have been replaced by woods from the States affected by the hurricanes and the Music Rising logo, exclusive to this guitar, is etched into the pick guard. The Edge visited New Orleans (Nov. 17) between U2’s current “Vertigo” tour dates in order to see the profound impact on the area first-hand and to spend time with local musicians, listening to their experiences and trying to understand their needs. During his stay, he toured several neighborhoods and struggling venues. In addition to the purchase of the Music Rising guitar, interested supporters can make tax-deductible contributions to Music Rising at www.musicrising.org or by sending a check made payable to: Music Rising, c/o MusiCares Foundation, 3402 Pico Blvd., Santa Monica, CA 90405. For more information on Music Rising or how to purchase the Music Rising Gibson guitar go to www.musicrising.org. Following a visit to New Orleans late last week, U2's The Edge announced today the unveiling of Music Rising, a campaign to raise funds to replace the lost instruments and accessories of the musicians affected by the hurricanes that devastated the Gulf Coast region two months ago. Lead partners Gibson Guitar and Guitar Center Music Education Foundation have spearheaded the initial effort by collaborating on the design, manufacture and sale of an exclusive Gibson guitar with all proceeds going directly to the Music Rising program. The guitar will be available through Guitar Center. The instrument captures the essence of the Gulf Coast's musical tradition. A very limited quantity will be produced with all proceeds benefiting Music Rising and a pledge of $1 million in support. The Gibson Music Rising guitar features hand-painted designs using the colors of Mardi Gras. Each guitar will be individually painted and handmade so no two will be alike. All of the usual plastic parts (back plate, pick guard, toggle cover, truss rod cover) have been replaced by woods from the States affected by the hurricanes and the Music Rising logo, exclusive to this guitar, is etched into the pick guard. The Edge visited New Orleans on Thurs., Nov. 17 between U2's current "Vertigo" tour dates in order to see the profound impact on the area first-hand and to spend time with local musicians, listening to their experiences and trying to understand their needs. During his stay, he toured several neighborhoods and struggling venues. "My recent visit to New Orleans gave me a firsthand look at the devastation which tragically destroyed the lives of thousands. The area's rich and spirited culture must be restored and can be by assisting those musicians affected by the disaster which in turn will bring back the essence of the regions," said Edge. "Providing replacement instruments through Music Rising will not only help the professional musicians to regain a foothold on their future, but will also ensure that one of the Gulf Coast's greatest assets, its music, will rise again." Adding to the power of Music Rising, a group of industry partners have joined Gibson Guitar and Guitar Center in the effort. Participating partners include Conn-Selmer, VH1 and MTV Networks, Ticketmaster, and SpinCo (formerly Clear Channel Entertainment) and Kennedy-Marshall. These industry giants have pledged their support through both financial and media contributions and are setting the tone for support from the rest of the industry and music fans worldwide. The application and qualification process for musicians will be handled by MusiCares® a nonprofit organization dedicated to helping music people in crisis, which has already provided more than $1.5 million in direct financial assistance to more than 1,800 Gulf Coast music people. MusiCares Foundation will manage all eligibility for Music Rising grants and fulfillment of the grants will be managed by Musician's Friend, one of the country's largest online music retailers. During the next few weeks The Edge will appear in a series of public service announcements and media interviews highlighting the efforts of Music Rising. His face and name will symbolize the effort, and he will represent all of the musicians who are trying to rebuild their lives after one of the worst natural disasters in United States history. The program organizers are calling to action every citizen and organization willing to help now and well beyond the initial launch. Music Rising is a national campaign created by U2's The Edge and producer Bob Ezrin with various partners including Gibson Guitar Chairman and CEO Henry Juszkiewicz, Guitar Center Music Education Foundation's CEO Larry Thomas, members of MusiCares and other industry executives. Inaugural partners MusiCares, Gibson Guitar, Guitar Center, Musician's Friend, VH-1 Networks, MTV Networks, Rolling Stone Magazine, Ticketmaster, and Spin Co (formerly Clear Channel Entertainment) constitute the most dynamic and comprehensive organized group to launch a relief program since the Hurricanes hit the United States. The campaign's goal is to put musical instruments back into the hands of all musicians who lost everything in the hurricane disasters and to help them regain their livelihood while rebuilding the heart and culture of the Gulf Region. Music Rising is administered by MusiCares. For information on Music Rising go to www.musicrising.org.